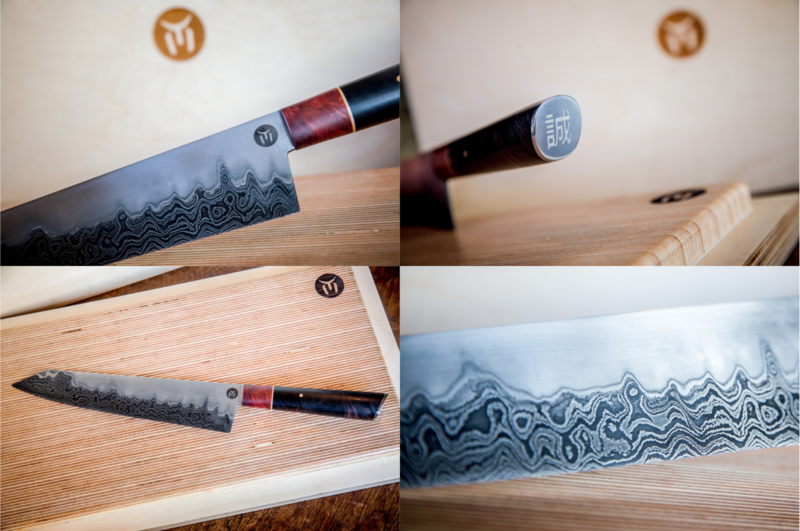 We’re incredibly proud of this bad boy - The MAKOTO Kiritsuke chef. A true masterpiece from Greg Cimms of Kayne Custom Knives. 9.5” blade, 131 layers of damascus steel, ebony macassar handle, custom engraved. Inspired by edo period katana craft in Japan. Hattori Hanzo levels. Only 1 on the planet.